Just a short drive from both Advocate Bromenn Medical Center and close by St Joseph's Medical Center, Sugar Creek Alzheimer's Special Care Center respite care in Normal, IL, is the perfect location to rest and heal after a hospital stay or while recovering from an injury that needs rehabilitation. Our on-site staff will ensure a circle of care is created, made up of specialists, family members and the respite guest themselves, sharing critical health and pain management information to everyone involved. In addition, Sugar Creek Alzheimer's Special Care Center offers assistance with day to day tasks that may prove difficult while recovering. Bathing, dressing, incontinence care, and pain and medication management are all provided for the respite resident, enabling them to expend their energy on healing without the headaches and demands of everyday life. 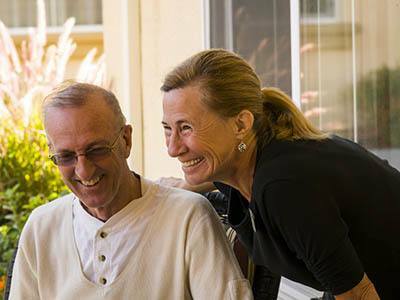 Sugar Creek Alzheimer's Special Care Center also offers respite care service to caregivers looking for a place that will focus on the well-being and happiness of their loved one with dementia or memory needs for temporary assisted living care.